Gluten free tortilla wraps are so simple to make, are very versatile and fantastic for popping in a lunchbox. These gluten free wraps can be rolled out to a lunch plate size so are perfect for gluten free tacos, gluten free burritos, gluten free enchiladas, gluten free quesadilla. Use them as an alternative to sandwich bread or cut them into wedges and crisp up in the oven and you have a perfect gluten free tortilla chip for dipping in fresh hummus. 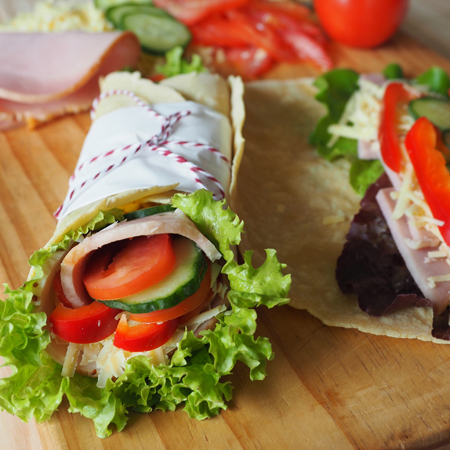 In this recipe we teach you how to make the gluten free wraps from scratch and also suggest many wonderful lunchbox wrap flavour combinations.